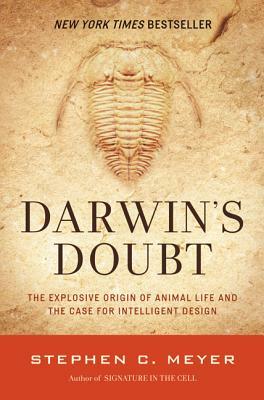 When Charles Darwin finished The Origin of Species, he thought that he had explained every clue, but one. Though his theory could explain many facts, Darwin knew that there was a significant event in the history of life that his theory did not explain. During this event, the “Cambrian explosion,” many animals suddenly appeared in the fossil record without apparent ancestors in earlier layers of rock. Stephen C. Meyer received his Ph.D. from the University of Cambridge in the philosophy of science after working as an oil industry geophysicist. He now directs the Center for Science and Culture at the Discovery Institute in Seattle, Washington. He authored Signature in the Cell, a (London) Times Literary Supplement Book of the Year. Steven Meyer gives an insightful and thoughtful treatment to the history of life. Justice Louis Brandies taught us that, ‘Sunlight is the best disinfectant,’ and Dr. Meyer lets the sun shine in.